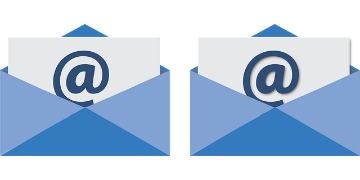 What’s the difference between B2C email marketing and B2B email marketing? It depends on the email sender’s relationship with the recipient. B2C email marketing means business to consumer. When an online business sends an email directly to a potential final buyer. An end-user of the product or service you’re selling. When you’re sitting at home, click on a link and immediately buy something. That’s B2C. B2B means business to business. When a business is trying to market their product or service directly to another business. Like a trucking company soliciting freight from another company. That’s B2B. Both of these email markets are stunningly huge. Far bigger than all of social media combined. But vastly different. So you can’t write your emails … or autoresponders for that matter …in the same voice to each of these divergent markets. The tone and type of email you want to write depends on who you’re sending your emails to. And what your intent is. My family and I love to have get-togethers. Celebrations. Birthday parties. Seasonal dinners. But I have to give my wife’s family credit for this. They were masters at it. Two things I’ve learned over the years. Be sure you know who’s putting the party on. And make sure you’re aware of who else is coming to the party. The perspective is so much different. From every angle. The way people act. How comfortable they are. How uncomfortable they are. And whether anyone might be offended by anything that may be said. I’ve seen people deleted from the invite list due to something … seemingly minor in their mind … they said or did. Or those who didn’t show because someone else they didn’t like was invited. And this kind of reminds me of how relationships work when it comes to B2C email marketing. The voice you use when writing emails for B2C email marketing depends on who you’re talking to. And your success depends on using the right voice. Are you talking to prospects? People who’ve opted in. Given you their email address in exchange for something? Maybe for a white paper or free report. People you want to develop a relationship with. Or strengthen the relationship you already have. If so, you want to be that person sitting on the barstool next to them. Or the one giving them a manicure. Even a haircut. Trying to build a relationship slowly and patiently. And get them to come back. Be personable. Even transparent. Try to gain your prospect’s trust by putting them at ease. Don’t be afraid to use everyday slang. In fact, use it. When you use these techniques in email writing … or writing content and blog posts … they’ll keep reading your stuff. Because they like it. And they can relate to it. They might even be learning something from it. Now when you’re writing emails and autoresponders to people who’ve already bought from you, the voice and tone changes. You already have a relationship with them. They’re already a paying customer. And you’re trying to deliver a different message. Maybe content mixed with additional or big-ticket product offerings for example. Or links to a new blog post. Here you want to be the expert … the go-to source … for whatever product or service you’re offering. You’re trying to build a repeat … even a lifetime … customer. In B2C email marketing, talk to your readers like they’re in junior high. Like they’re in the 8th grade. Or even better, in the 6th or 7th grade. Crazy right? Why would you want to do this? Well, because that’s just how most people talk. Kind of like this article. How people talk. The Flesch-Kincaid Readability Test is a program used by pro copywriters and writers … people who make their living doing this … to evaluate their writing. It gives you four different scores. But the only one you’re concerned with is the Flesch-Kincaid Grade Level. This score summarizes the other four. If it gives you a score of 10.3, guess what? An average student in the 10th grade … 3rd month … can understand what you wrote. You want to target 8.0 or even lower. Shoot for 6th or 7th level. That’s the 6th or 7th grade level. Believe me, it works. So what’s the Grade Level score on this page? 5.6. I know. I get it. 5th grade right? But did you read the whole article? If you use words that are too big, you’re taking two risks. First, your prospect might not understand you. Second, she might even resent you for trying to show off your vocabulary. Both of these will cause your reader to stop reading. Want To Say Something About This Topic? Do you like this article? Did you learn anything? Do you have something to add? Do you have a question? Go ahead and let me know. Be nice. Be civil. And I'll respond to all of them. Other readers may also.